THIS ITEM IS NOT AVAILABLE AT PRESENT. WE WILL NOT BE GETTING ANYMORE Star Wars Boba Fett Lanyard. From the Star Wars collection by Plasticolor. 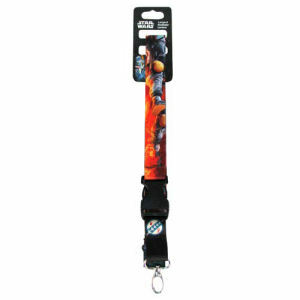 Star Wars Boba Fett Lanyard. Lanyard features a cool graphic design and a detachable key chain.